This grant will identify sources of E. coli that are compromising water quality at Harrington Beach State Park. 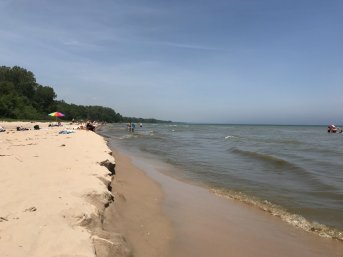 Over 125,000 individuals visit Harrington Beach State Park each year, making it one of the most popular beaches along Lake Michigan. Yet exceptionally high levels of bacteria and the presence of E.coli have led to routine beach closings and unhealthy swimming conditions at the park.